Links International Journal of Socialist Renewal reposted from Africa is a Country — In 1920, prior to the second Congress of the Comintern, Lenin circulated a draft of his theses on “The Question of Colonized People and Oppressed Minorities.” The end-result of this was the inclusion in the “21 Conditions” for Comintern membership, of an obligation to provide “direct aid to the revolutionary movements among the dependent and underprivileged nations and in the colonies.” While often cited by Marxists as evidence of the Bolshevik’s commitment to anti-imperialism, few cite the role of colonized activists in its formation. Lenin’s theses were revisionist in two senses. Firstly, they cast anti-imperialism as a priority of the movement, and expanded from class reductionism and Euro-centrism on several issues. Secondly, they contributed to the idea of labor aristocracy. These ideas, while not entirely new, were closely linked with an Indian delegate for the Mexican Communist Party, MN Roy, the prime source of pressure on Lenin to expand upon his theses. Pre-1917 Marxist theory held that revolution would originate in the industrial nations of Western Europe, or the United States, the industrial proletariat holding the greatest revolutionary potential. By 1920, socialist revolution in Western Europe that Lenin and other Marxists had hoped for, had either failed to materialize, or been put down, as in Germany and Hungary. Russia, where revolution had endured, was an agricultural nation with sluggish industrial development. It was also a territory with extensive populations of non-Russians, many who had come under Petrograd’s rule within the last century. During the early years of the revolution, the question of whether Russia needed to undergo a period of liberal-capitalist rule as opposed to a transition directly to socialism had divided the Left. By 1920, many of the nationalist-liberal governments that had emerged in the Caucuses, Far East, and Central Asia had collapsed under pressure from both the Red and White movements. While the Bolshevik government established socialism through force, other colonies and stateless peoples of the world were under the control of powers that had stymied political participation and development. Colonizers had elevated an educated strata of the colonized, often already elites prior to colonization. Despite this, many had come to develop ideas of nationalism, and formulate critiques of foreign rule. Of positions of privilege, these figures and their parties, were cautiously moderate in demands and methods. Lenin, and many other influential European socialists held the view that in colonies, “feudal or patriarchal-tribal relations were prevalent.” Concurrently, the view that the colonial bourgeois was opposed to imperialism was true in the sense that this class was, at the time, the driving force in formal political anti-colonialism. 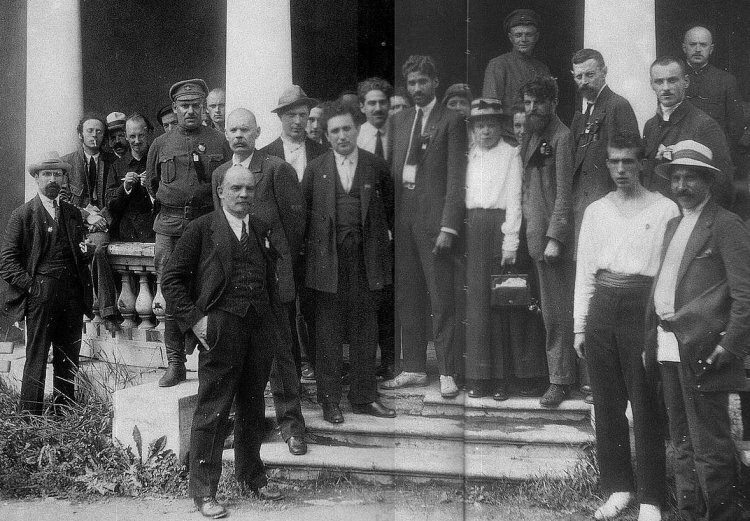 Lenin’s theses called for communists to remain independent, but to collaborate with bourgeois-liberal nationalists. Roy met with Lenin several times following his circulation of the draft thesis, and while the exact nature of these meetings has escaped record, Lenin considered Roy’s critiques to be sufficiently constructive to warrant amendment. Roy’s primary challenge to Lenin’s draft was that collaboration with national-bourgeois would be self-defeating in the twofold struggle for emancipation that colonized peoples would have to engage in, not to mention the struggle of white socialists. Roy was skeptical of the idea that the national-bourgeois would act as revolutionaries, and that if they were to succeed, would only subject colonized peoples to continued exploitation, while strengthening their political position, dampening the efforts of colonized socialists. While the bourgeois did play a significant role in nationalist movements, this did not mean that they would pave the way for liberal political development, nor would they act to deconstruct the intra-colonial hierarchy. This entry was posted on Wednesday, September 26th, 2018 at 00:05	and is filed under Uncategorized. You can follow any responses to this entry through the RSS 2.0 feed. Both comments and pings are currently closed.